Offering medical marijuana patients a unique, clean, high-quality buzz, Tweed 10:1 Cannabis Oil is finally available throughout Canada. A combination of organic sunflower oil and cannabis oil come together to form the perfect high in the new Tweed 10:1 Cannabis Oils. After becoming Canada’s first publicly traded medical marijuana company, Tweed, and sister company Tweed Farms, both wholly owned subsidiaries of Canopy Growth Corporation, have become an unstoppable force in the cannabis world. Recently, their attention has been focused on redesigning the country’s medical marijuana laws to include the production of cannabis oil. With license approval finally received, the company has begun manufacturing high-quality, non-GMO Tweed 10:1 Cannabis Oils. The ingredients in Tweed oil are simple and pure. Purified cannabis oil, extracted using CO2, is blended together with organic, non-GMO sunflower oil. Not only is sunflower oil versatile for cooking and baking, it is also hypoallergenic, reducing any chance of irritation. Tweed began producing oil from the three most popular strains Argyle, Princeton and Bird’s Eye but assures customers there are plans to produce oils from different strains on an on-going basis. Above all, Tweed is an honest company. Not only do they offer all customers extensive discounts on vaping supplies, they follow a Compassionate Pricing Promise, helping qualified customers receive medication at a reduced rate. Tweed even ensures their most popular cannabis is always available. If a customer reorders the same strain twice in six months, or within two months of becoming a member, and the strain is unavailable, customers will receive a $25 coupon to use when it is back in stock. Having a strong existing customer base provides Tweed the unique opportunity to produce oils from strains people know and trust. The 10:1 name refers to the easy dosage method Tweed has incorporated into their oils. 10 milliliters of oil is equal to 1 gram of the same strain in dried bud. Tweed supplies customers with a precise dosage syringe, removing all the guesswork from using their oil. Many customers are new to oils and unfamiliar with their effects. When ingesting oil in baked goods it’s important to remember, the high can take two hours or more to kick in and it can last for up to ten hours. 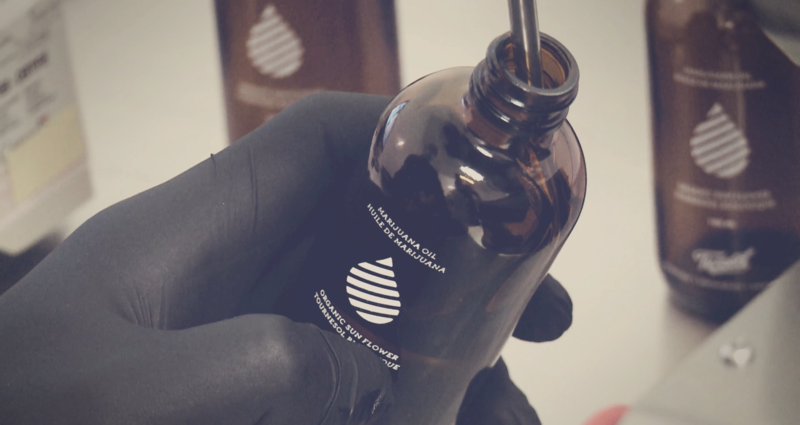 If using just oil straight from the bottle, Tweed suggests starting with as low as 1 ml and working the dosage up until the desired buzz is achieved. 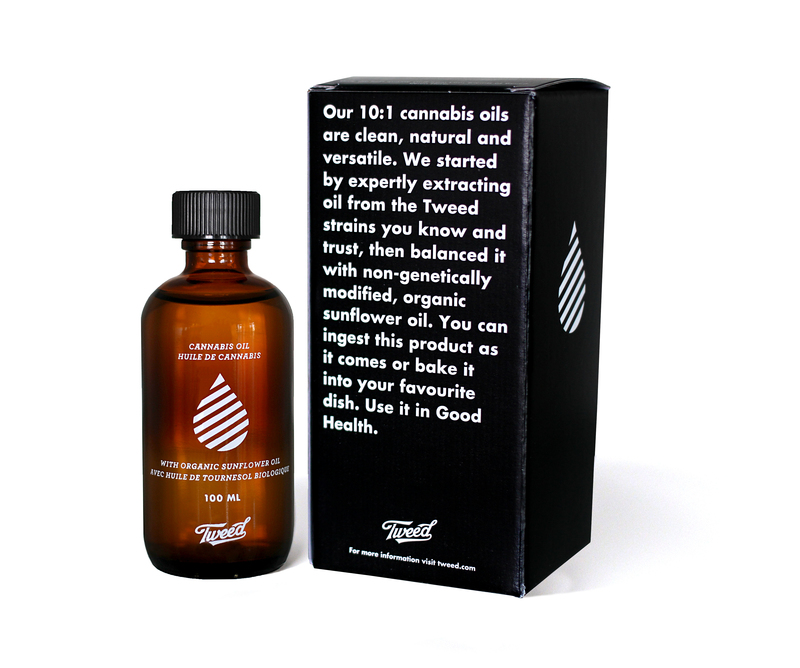 Tweed 10:1 Cannabis Oil is available for sale online with prices starting as low as $95 per bottle. 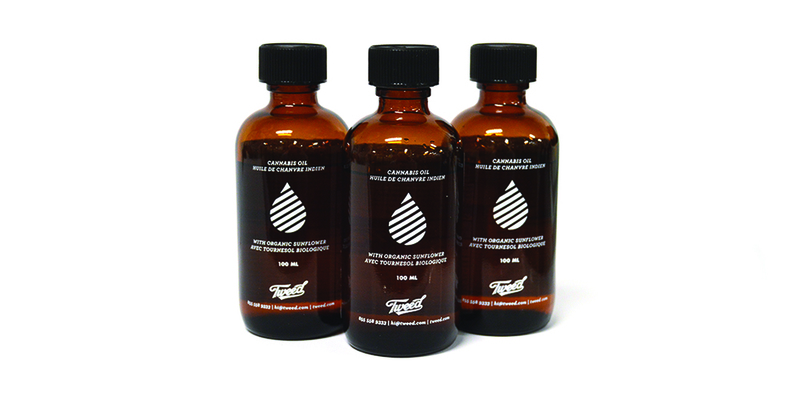 While placing an order, don’t forget to check out The Tweed Pantry for an array of items to accompany your oil. Don’t worry about shipping times, either; the company sends out 97% of orders on the same day they were placed, so products reach customers very quickly. Canadian medical marijuana patients rejoice. A quality, clean, reliable cannabis oil is now at your fingertips! Have you ever used Tweed 10:1 Cannabis Oil? Let us know on social media or in the comment section below.